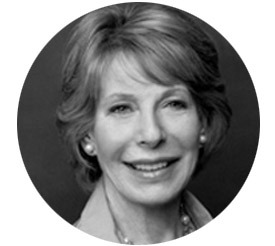 American author, journalist and lecturer Gail Sheehy has been writing for more than fifty years. Her books include Passages (1976), which has been translated into 28 languages; the biography Hillary’s Choice (1999), about the then First Lady; Middletown, America (2003), about the effects of 9/11 on a New Jersey town; and, most recently, a memoir entitled Daring: My Passages (published September 2014). As a journalist, Sheehy has been a contributing editor at Vanity Fair since 1984 and was an early contributor to New York Magazine. Her work has also appeared in The New Yorker, Harper’s Bazaar, Rolling Stone, and The New York Times Magazine. Sheehy’s most famous subjects have been politicians, including Robert Kennedy, Barack Obama, Margaret Thatcher, and Saddam Hussein.